This residential summer school offers you a singular chance to immerse yourself in your writing over three intensive weeks spent in Oxford. Under the guidance of experienced tutors, you will write, develop your technique, sharpen your critical faculties and discuss your work in small, focused seminars. Each weekday you will attend a talk given by an author, publisher, agent, or editor. You will live and work in beautiful Exeter College – founded in 1314 – the environment that nurtured J R R Tolkien, Philip Pullman, Martin Amis, William Morris, and many others. At the end of your three weeks, you will have acquired new skills, made new friends, and developed a fresh portfolio of creative writing. daily talks and readings given by established authors, agents, editors and others. Seminars are offered at two levels (Intermediate and Advanced - see "Selection Criteria" (below) to ensure a good fit with your experience as a writer. Seminars will involve writing exercises, group discussion, and the development of a portfolio of creative writing. Each seminar has two two-hour meetings per week. Classes typically contain no more than 14 students. Please check the seminar timetables carefully to ensure that your first and second choice courses do not run at the same time. 22.5 hours of talks and readings (15 sessions, each lasting 1.5 hours). Students will have an opportunity to share their ideas and work with the group at open mic nights (one per week) and informal peer-led workshop sessions (two per week). 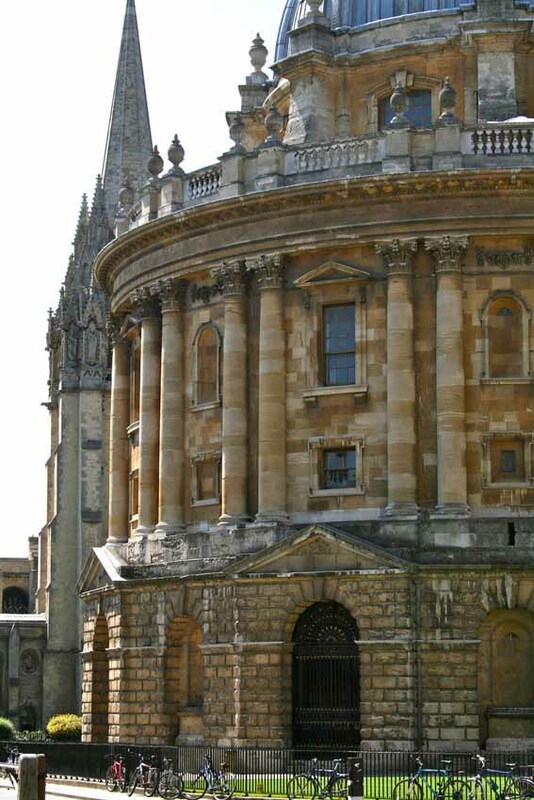 Beyond the summer school, Oxford is a vibrant and cosmopolitan city with a busy cultural and social scene offering a wide variety of plays and shows, concerts, films and exhibitions. This course is designed to help to writers identify the story within the compelling real-life experience. Students will learn and apply creative skills to enable them to structure factual events with dynamic narrative appeal. They will be encouraged to hone their powers of observation and linguistic creativity in order to capture those details – concrete moments, images, and actions – that bring characters and places to life. The work produced on this course will help students to think critically, not just about form, but also about content. The course will combine craft techniques, critical examination of great non-fiction writing, and workshopping of students’ work. Tutor: Susannah Rickards' collection of short fiction, Hot Kitchen Snow, drawn from experiences of growing up in North East England and working in East Africa, won the international Scott Prize in for best debut fiction collection in 2010, and is published by Salt. Her writing regularly appears in journals and anthologies and has been broadcast on BBC radio. She read English at Oxford University and now lives in Surrey, UK, where she writes and mentors new and established authors. Want to improve your creative writing? This course will offer you the chance to develop your creative prose in an inspirational and nurturing environment. By looking at techniques used by published writers, we shall learn how we can bring our own stories to life. Practical exercises and discussion of each other's work will deepen our understanding of fundamentals such as character, description, plot, dialogue, point of view and suspense. We shall also experiment with different narrative forms. Last but not least, the course will explore how to rewrite and edit - vital skills for your creative writing in the future. Tutor: Frank Egerton read English at Keble College, Oxford, and has reviewed fiction for The Times, Times Literary Supplement and Financial Times. He teaches creative writing at undergraduate and postgraduate level for Oxford University. He is the author of The Lock (Smaller Sky Books, 2003) and Invisible (StreetBooks, 2010). He is interested in both the close examination of fiction and how new technologies are changing the publishing industry. The e book edition of The Lock reached the finals of the Independent eBook Awards. He is a former editor of The Oxford Writer and Chair of Writers in Oxford. He has recently completed a work of life writing, entitled I Am the Man Who Lives in a Shoe. We tell stories about ourselves and others every day. Taking a close look at examples of autobiography, memoir and biography, we can learn how life stories are structured; the voice of the narrator, imagery, themes and language make a difference to our understanding of the life, or lives, being told. In our reading of others’ lives we can learn how to write about our own or those of people important to us. Students will consider how to approach life-writing as both writer and researcher, and will have the opportunity to explore a range of approaches that may inform their own life-writing. Tutor: Dr Jane McVeigh teaches life-writing at Oxford University Department for Continuing Education (OUDCE) and elsewhere. She writes on different aspects of life-writing and is working on the life and work of Richmal Crompton. She is the author of two chapters in The Companion to Literary Biography (Wiley-Blackwell, 2018) and the author of In Collaboration with British Literary Biography: Haunting Conversations (Palgrave Macmillan, 2017), which explores the nature of contemporary biography. This course is aimed at those who are starting to write prose but do not yet feel fully confident. Using a variety of exercises and some examples from literature, we shall investigate the formation of character, and develop character arcs. Then we shall develop story and plot outlines together, planning scenes and getting to grips with cliff-hanger chapter endings. Finally, we shall attempt to identify and discuss your unique strengths and preferences with a view to finding your USP - unique selling point. Tutor: Dr Rachel Bentham has been Royal Literary Fellow at Bath University, and teaches for both Bristol and Bath Spa Universities. Her plays and short stories have been regularly broadcast on BBC Radio 4, and her poetry is internationally published. She has recently completed a novel set in nineteenth-century Tahiti. Her current collection of haiku is called Let All Tongues Flower (Firewater Press, 2013). This course is designed to help you hone your craft as a writer and see your project through to its completion. We shall start by examining your aims and motivation, troubleshooting any problems you are having in maintaining commitment and progress. We shall explore how to give your writing maximum resonance and power, analysing how you can use voice and point of view, give your characters extra depth and weave together story strands, themes and images. Finally, we shall look at sending your work out into the world, with advice on editing and pitching, together with a synopsis surgery. Tutor: Lorna Fergusson is a literary consultant, novelist and prize-winning short story writer, who has taught on various OUDCE programmes since 2002. In 2013 she republished her novel, The Chase, originally published by Bloomsbury in 1999. Her chapter on ‘Pre-writing’ appears in Studying Creative Writing (Creative Writing Studies, 2013). 'I have never started a poem yet whose end I knew. Writing a poem is discovering’ (Robert Frost). In this course we shall embark on unpredictable journeys of discovery, in particular exploring the realm of ambiguity and multiple levels of - sometimes conflicting - meaning. In collaborative exercises and individual work, as well as analysis of poems by established poets, we shall try to see what makes a vivid or striking poem, and how best to channel and shape the ‘spontaneous overflow of powerful feelings' (Wordsworth). The course will consist of taught seminars followed by workshopping of students' work. Tutor: Matthew Barton has published two collections of poetry, Learning to Row (Peterloo Poets, 1999) and Vessel (The Brodie Press, 2009), and a third collection is forthcoming. He has won many awards for his work including BBC Wildlife Poet of the Year (twice winner), second prize in the National Poetry Competition and, most recently, joint second prize in the Hippocrates Prize for Poetry and Medicine. He is a tutor of poetry for the Undergraduate Diploma in Creative Writing at OUDCE and he runs workshops in schools. This course is based on the study and creation of scripts for stage, screen and radio and on helping aspiring dramatists to develop a practice to engage with a golden age of script writing. Convincing characters in coherent plots, with a keen awareness of genre, is the basis of all good fiction. We shall explore such core elements, culminating in the submission of a short script. In the third week, students can workshop a script begun outside the course. Dramaturgy will be strictly focused to help writers to develop individual writing for performance projects, using processes that are ‘industry standard’. Tutor: Shaun McCarthy is a professional stage and radio dramatist. He teaches for Oxford and other universities in the UK and Europe. He is currently writing a resetting of Strindberg’s Miss Julie, to May Eve in Oxford 1963, and co-producing a play based on seven after-show discussions about a play we never actually see. The teen/young adult/crossover fiction market is one of the fastest growing areas of publishing. This course, run by an established novelist, will look at the way successful writers have used dialogue, tackled taboos, and developed plots to appeal to younger readers. It will also explore such key topics as planning a novel, researching, and finding inspiration. Students will be guided in the development of a story of their own, and there will be opportunities for workshopping of students’ work from outside the course. Tutor: Julie Hearn is the Carnegie-nominated author of a number of novels for young adults: Follow Me Down (2009), The Merrybegot (2005), Ivy (2006), Hazel (2007), Rowan the Strange (2010), Wreckers (2011) and Dance of the Dark Heart (2014) were all published by Oxford University Press. Her eighth novel, I am NOT adorable, was published by Jolly Heron in 2018. Each seminar has its own requirements for preparatory reading. All students who complete the programme will receive an attendance certificate. Those seeking credit at their home institution may request a detailed certificate which lists contact hours (for talks, readings and seminars), an assessment of their contribution to seminar discussions, grades achieved for written work, and the number of private study hours required. Certificates will usually be sent to students' home institutions within a month of the end of the summer school. As Oxford University does not offer credit for this summer school, those wishing to obtain credit from their home institution for attending this programme must make appropriate arrangements with that institution in advance. Founded in 1314, Exeter College is one of Oxford University`s oldest colleges and is situated in a prime city centre location. Students who choose to attend the summer school on a residential basis will have a single study bedroom. Bedrooms are located up the four to nine floors of a staircase; bath and/or shower and toilet facilities on each staircase are shared. A limited number of rooms have private bathroom facilities (shower and toilet) and these are available for a higher fee. Early application for these rooms is essential. Students cannot be accommodated at Exeter College either prior to or beyond their programme dates. Family members and/or friends who are not enrolled on this summer school cannot be accommodated in college. Residential students will take meals in the college's dining hall. All meals are self-service with a range of options available. The only exceptions are the summer school's opening and closing dinners, which are formal served set menu meals. Should applicants have any dietary requirements (eg vegetarian, gluten-free) they are required to complete the relevant section on the application form. Please be aware that accommodation at Exeter College is limited and may not be available for those who submit their applications towards the end of the admissions period. No meals are provided for non-residential students, except the summer school's opening and closing dinners. Students will have access to the Continuing Education library (around 10 minutes' walk from Exeter College), but no other Oxford University libraries. Although it is not required, most students bring a laptop to Oxford to assist them with their studies. For residential students, wireless internet access is available in all bedrooms; for all students, wireless access is available in communal spaces of the college. All students will be eligible to use the computers and printer in Exeter College's computer room. Fees include tuition (2 seminars and the daily programme of talks and readings); access to IT facilities and the Continuing Education library; accommodation in a standard single room with shared bathroom facilities for the nights of Sunday 28 July to Friday 16 August 2019 inclusive; meals in hall from dinner on Sunday 28 July to breakfast on Saturday 17 August 2019 (except lunch on Saturdays and Sundays). Fees include tuition (2 seminars and the daily programme of talks and readings); access to IT facilities and the Continuing Education library; accommodation in a single en suite room with private shower and toilet for the nights of Sunday 28 July to Friday 16 August 2019 inclusive; meals in hall from dinner on Sunday 28 July to breakfast on Saturday 17 August 2019 (except lunch on Saturdays and Sundays). Fees include tuition (2 seminars and the daily programme of talks and readings); access to IT facilities and the Continuing Education library; no accommodation; no meals, except the programme`s formal opening and closing dinners on Sunday 28 July and Friday 16 August 2019, respectively. There are no sources of funding (scholarships, bursaries, etc) available for applicants. Successful applicants who accept their offer of a place on the summer school will be invoiced for the appropriate programme fee once they have been formally enrolled on the programme. Invoices will be emailed to students together with full instructions for payment. Fees may be paid online with a credit or debit card, or by bank transfer. Students are required to pay the full fee within 30 days of the date on which their invoice was issued. Late applicants (see "Apply for this course", below) are required to pay the full fee within 7 days of their invoice date. in no circumstances will students be admitted to the summer school unless all fees have been paid in full. Your place on the summer school is confirmed as soon as your payment is received by OUDCE. You will receive a receipt for your payment: by email if paid online, or by post if paid by bank transfer. If you are a non-EEA student you will receive a letter by post confirming your enrolment and course details which may be used to support your application for a short-term study visa: this letter will be sent by post (see "Level and demands", above). All enrolments are subject to OUDCE's Short Selective Course Terms and Conditions. A contract between OUDCE and a student comes into being when a student accepts an offer of a place on the summer school. You have the right to cancel this contract at any time within 14 days, beginning on the day you accepted the offer. Please be aware that if you cancel your place at any time after the expiry of the 14-day period you will not be entitled to a refund of the price paid for the summer school. You are expected to take out vacation cancellation insurance to cover the programme fee and travel costs, and you should consult your travel agent and/or insurer for information and advice. OUDCE does not provide any insurance cover. OUDCE reserves the right to alter details of any course should illness or any other emergency prevent a tutor from teaching, and to cancel a course or seminar if exceptionally low enrolment would make it educationally unviable. The status of this course will be reviewed on 15 May 2019. If it is likely that individual seminars or the course may be cancelled, all those affected will be notified by email within 7 days, and possible options clearly explained. If you have not heard from OUDCE by 22 May 2019, you should assume that the course and your seminars will be running; there is no need to contact us to confirm. You may wish to delay finalising your travel arrangements until after this date. Each seminar has its own course aim and objectives. Students will attend a programme of talks and readings. Students will attend short one-to-ones with their tutors to receive feedback on their written work. Each seminar has its own learning outcomes. Tutors will monitor and assess students’ contribution to class discussions. Students are expected to submit an assignment of 2,000-3,000 words in length for assessment for each seminar taken. read the 'Important information regarding immigration and visa requirements' (see "Level and demands", below). Download, print and complete the application form. Please ensure all sections are completed fully, clearly, and in BLOCK CAPITALS. A brief statement of purpose (350-400 words) detailing your academic reasons for wishing to attend the summer school. This should include what you feel the programme would offer you and your writing, and what you feel you could bring to the summer school. This may include details of creative writing courses you have previously taken, or the relevance of the summer school to your present course of study or professional development. Applicants for advabced courses only: it is essential that you clearly state your reasons for wishing to enrol on specific seminars. Samples of your writing which demonstrate your powers of creative expression. If you are applying for the intermediate courses you should provide two 1,000-word samples: one being a piece of creative non-fiction: the other a piece of prose fiction. If you are applying for advanced courses please provide samples of your work relevant to your first and second choice courses and ensure that the name of the seminar is printed at the top of each sample. As a guideline prose fiction, creative non-fiction and dramatic dialogue samples should be no more than 1,000 words in length (please provide an extract of a longer piece of work if appropriate); applicants for the poetry seminar should provide five short poems. All of your official university transcripts. These must be in English. In the case of non-native speakers of English, official evidence of English language competency. A letter of recommendation from a person - usually an academic who has taught you - who can give insight into your academic capabilities and writerly achievements. Where this is not possible, a letter from an appropriately qualified/experienced person who can comment on your motivation, commitment to writing and potential for development is acceptable; however, a reference from a family member or friend is not. Please note that the letter of recommendation must refer specifically to your application to the Oxford University Creative Writing Summer School. Four photographs (UK passport-sized - ie 4.5cm high x 3.5cm wide), with your full name printed on the back of each. You may wish to send your application by a courier service or registered post for speed and/or security of delivery. We are currently unable to receive applications by email. You will receive an email from ipwriters@conted.ox.ac.uk confirming receipt of your application materials, and informing you when your application will be reviewed by the admissions panel. This summer school operates a gathered field closing date system by which applications are reviewed fairly and equally in batches at specific dates throughout the admissions period rather than on a first come, first served or rolling basis. There is a limited number of places available on every graduate-level course within each gathered field, and in assigning successful applicants to seminar groups the admissions panel will pay particular attention to applicants' personal statements. Subject to the availability of places, late applications may be considered on a first come, first served basis until 1 June 2019. Applicants will normally be notified of the panel's decision by email from ipwriters@conted.ox.ac.uk within 14 days of the relevant gathered field deadline. Applicants who are offered a place on the summer school must respond in writing within 14 days to accept or decline the offer. In accepting an offer of a place applicants are committing to paying their programme fees in full by the due date. Late applicants will be notified within 7 days of their materials having been received, and successful applicants will then have 7 days in which to accept or decline the offer of a place. Students will be formally enrolled on the summer school once they have accepted their offer of a place. The enrolment process includes the issuing of invoices, which will be emailed to students together with full instructions for payment (see "Payment", above). In June 2019 - confirmation of arrival day arrangements. *Successful gathered field 3 applicants will receive this information on enrolment. undertake approximately 96 hours of private study during the programme (elements of private study will include: reading, writing and other preparation between seminar meetings, work in the library, writing papers, etc). Please note: The information in this section is correct as at December 2018, but may change following the departure of the UK from the European Union (EU) in March 2019. We anticipate that, if changes are made, it is most likely that EEA and Swiss national students will need to follow the same immigration rules as non-EEA nationals. We do not expect any changes to the short-term study visa itself, but this is not guaranteed. We will update you as soon as we have further details. In the meantime, up to date information regarding arrangements following the exit of the UK from the EU, is available on the UK Council for International Student Affairs website. If you are an European Economic Area (EEA) or Swiss national you do not need a visa to enter the UK to participate in the summer school. You are free to enter the UK as long as you show your EEA or Swiss passport on arrival. If you are not an EEA or Swiss national, you may need to apply for a visa to enter the UK depending on which passport you hold. If the system shows that you require a visa: you should apply for a short-term study visa, which allows students over the age of 18 to study either part-time or full-time for up to 6 months in the UK. If the system shows that you do not require a visa: you will still need to bring certain documents to show at the border in order to be admitted as a short-term student. If you are not an EEA or Swiss national we strongly recommend that you establish whether you will require a visa before submitting your application. Please check current visa processing times to find out how long getting a visa might take in the country you are applying from. You should ensure your summer school application is submitted as early as possible to allow yourself sufficient time to complete the visa application process. The Programme Administrator will provide all non-EEA students with a standard format letter by post confirming enrolment and course details once their fees have been paid in full. The aim of Oxford University Department for Continuing Education (OUDCE) is to treat all students equally and welcomes applications from people with disabilities. Individuals` needs are taken into account as far as possible, providing reasonable adaptations and assistance within the resources available. We ask that people let us know of any disability or special need (confidentially if required) so that we can help them participate as fully as possible. When applying for OUDCE`s college-based summer schools, prospective students with mobility difficulties or visual or hearing impairments may want to make preliminary enquiries to the Programme Administrator, as the age and layout of these colleges often makes them user-unfriendly (although adaptations are often possible). Oxford, as an ancient city, tends to be difficult to navigate for people with disabilities. The number of very old buildings, designed in an age less sensitive to issues of disability, makes access to much of the city centre difficult. However, OUDCE will do as much as it is able to make study with the department possible. Applicants should contact us if they will have problems gaining access to a bedroom or a teaching room that is located on upper or basement floors, or to the college dining hall (which is reached via a flight of stairs). This is an intensive programme of study taught to an informed international audience. Applicants should be confident that they are academically and linguistically prepared for such a programme. All applicants should be keen readers and bring an open-minded, questioning approach to both reading and writing. All applicants should have written regularly and read widely over a sustained period. All applicants should have a proven record of commitment to their craft. Intermediate courses are suitable for applicants who have completed 1-2 years of a full-time single honours university degree course in creative writing or English literature, or a combined honours university degree course in creative writing and English literature. Advanced courses are suitable for applicants who have completed or nearly completed a full-time single honours university degree course in creative writing or English literature, or a combined honours university degree course in creative writing and English literature. Note for those whose degree is in a different, but related, subject: the admissions panel will look for evidence that applicants have taken a significant number of courses in creative writing or English literature, namely the equivalent of one year’s worth of credits in these subjects if applying for intermediate courses and two years’ worth of credits if applying for advanced courses. The summer school is not appropriate for those who have already achieved commercial publication. In exceptional circumstances the admissions panel may consider applications from those who do not have experience of studying creative writing or English literature at university: in such cases applicants must be able to provide evidence of significant prior activity as a creative writer. As students are expected to participate fully in seminar discussions and are required to produce written work it is important that applicants can demonstrate an appropriate level of proficiency in the four language skills - listening, reading, writing and speaking. Cambridge English: Advanced (CAE) - grade C or above. However, non-native speakers of English who have successfully completed a full-time degree-level programme at a university where English is the language of instruction or who have significant business and professional experience in an English-speaking environment may not need to provide a certificate of English language qualification. Please contact the Programme Administrator for further details.